You are here:News»FLOORTECH asia increases by more than 50%. 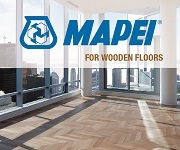 The main categories include carpet (machine made and hand-made), wood and laminate flooring, resilient flooring, and all flooring technologies. The booked exhibiting space for the latter less than 4 months before the show is 95%. 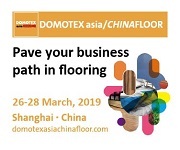 FLOORTECH asia has historically been an important segment of DOMOTEX asia/CHINAFLOOR and at the upcoming 21st edition, running from March 26 -28, 2019; the FLOORTECH exhibiting space will be increased by more than a half. Almost two entire dedicated halls totaling over 21,000 square meters gross will play host to everything from application and installation technology, flooring machinery and parts, wood supply and cleaning and maintenance technologies. FLOORTECH covers the upstream and downstream technologies which include: raw materials, equipment, factory tech, machinery parts, etc. 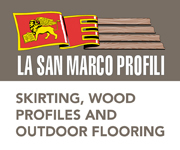 It is dedicated to provide a one-stop shopping service for Wood/PVC flooring manufacturers. The core display area for the 21st edition is intelligent manufacturing, PVC flooring production technology, cleaning and maintenance equipment, surface decoration, raw materials, auxiliary materials, applications and installation technology. A highlight for the upcoming show is seven special purchasing zones, distributed into three pavilions. Furthermore, this year the organizer will produce a procurement guide and will distribute it onsite, right now the guide includes 132 new products. As of December 20th, 2018, 95% of the FLOORTECH dedicated exhibiting space was booked with over 200 Chinese and international flooring technology manufacturers securing their participation. Among them are Adesiv, Chimiver, Comerio, Ciranova, Wintersteiger, Homag, Osmo, Treffert, Leuco, Leitz, Dynea, Wintersteiger, Howk, Hotjin, AZUMI, Xinqihang, Mingyi, Haozhonghao, Jun Shiau, SANYI, BOYU, Qingsu and other industry leaders. Some of them come to the show every year and already have high recognition in Asia Pacific. One of the great examples is Ciranova, who has succeeded in gaining market share in the Asian market, especially in the industrial segment. 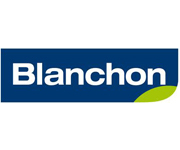 As their geographical expansion continues, they opened a subsidiary in North America in July and they have successfully opened the Chinese subsidiary in Shanghai last October to strengthen their business in China. 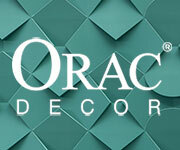 The main reason why they participate in DOMOTEX asia/CHINAFLOOR is to show their products to the local market. Having a long tradition with reactive stains, they are one of the market leaders in this area with more than 25 years of experience in traditional reactive stain finishes. 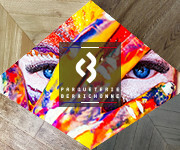 Last year they successfully launched the reactive stain NT (new technology) and in March they will present another innovative type of reactive stain finish: PINKBLOCKER 2C. 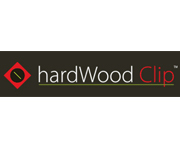 According to Didier Vervacke, Commercial Director at Ciranova distribution, “Chinese manufacturers are looking for natural looking finishes where you have more depth, more detail of the grain. 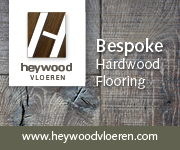 These products will create a unique floor offering and an exceptional combination of possibilities for all interiors. 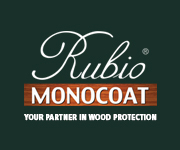 PINKBLOCKER 2C will allow the Chinese manufacturers to color non-European oak in nice colors without the pinkish aspect.” Not only has this product worked on European oak but also on American red oak and Tasmanian oak. 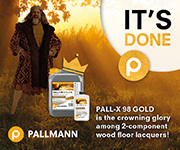 Moreover, the company representatives announced a lot of finishes on different wood species along with some samples to be available at their booth. You are here: Home News FLOORTECH asia increases by more than 50%.